We have worked hard during these months, and now we can tell you the theme and the dates of the next edition of our SalinadocFest, the Story Driven Documentary Festival. We will see each other from 11 to 14 September, to talk about (R)ESISTENZE. That is, in a sense, of capers. Which, as everyone knows, is the symbol and the green gold of Salina. Before you think we’re joking, read what Giovanna Taviani has shared with the press agencies while announcing this year’s theme: “Capers, which have always characterised Salina’s history and identity, have two types of roots: the primary one manages to reach the deepest layers of the ground; the secondary ones are a network of dense capillaries able to retain water. They are “resistant” plants. From this metaphor comes the theme of the thirteenth edition of the festival that in Salina and from the territory of Salina has always drawn its vital humus to rethink alternative models of existence, coexistence and hospitality, against the prevailing individualism of the great metropolis, made of loneliness and of silence dispersed in the noise of social media. Here insularity is experienced as a privilege, not as a privation ». Resistant are the documentaries that speak of the destiny of our country and the Mediterranean and, after having fought for years to go to the theatres, finally seem to have started to be recognised as Cinema with a capital C, living a golden age especially in the new streaming world. But the battle will still be long. Salina is resistant in the Aeolian Islands, where Malfa is hosting a Moroccan community from Khouribga: women, men and children who have perfectly integrated into the social and economic life of the island. A model of reception as an antidote to the new social-xenophobic wave that is going through Europe. More example of resistance can also be found in the entrepreneurial realities of the territory, from agriculture, to food and wine. 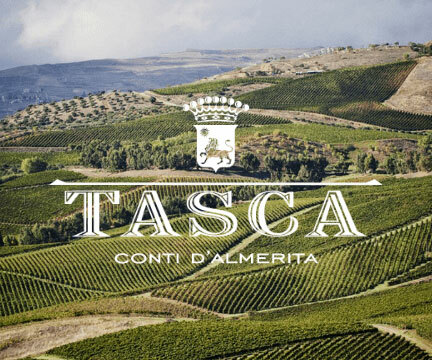 For viticulture, there is the example of the historic Tasca d’Almerita winery (recently awarded the prestigious Brit International Award of Excellence), which gives its name to the Tasca d’Oro, the first prize of the SalinaDocFest. There are the companies and the Municipalities of Santa Marina Salina and Malfa that have helped to grow the SalinaDocFest supporting us from the first steps, thirteen years ago. We will continue to work. We will do something important (we will keep you updated) even before September. And in days we will publish details about how to submit your movies, with all the informations about how to participate in the Competition that will select the best story driven documentaries – now they are many, but when we started it was not at all obvious – produced in the last year.